The Codex Alimentarius Commission concluded its 38th session in Geneva, Switzerland, in July. USDEC’s Matt McKnight, senior vice president, market access, regulatory and industry affairs, answers question about the decisions made and the potential impact on U.S. dairy exports. 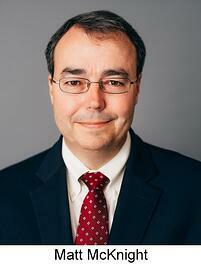 Q: Why is Codex important to U.S. dairy trade? MM: Nations representing around half of the world’s population are currently rewriting their food safety laws. The Codex Alimentarius international food standards, guidelines and codes of practice contribute to the safety, quality and fairness of international food trade. The reference made to Codex food safety standards in the World Trade Organization Agreement on Sanitary and Phytosanitary Measures (SPS Agreement) means that Codex has far reaching implications for resolving trade disputes. Thus, many of these nations will look to Codex for input, which is good. We would rather have them turn to such an organization that bases standards on sound, scientific input from experts from multiple countries, including the United States, than turn to a single nation or a group like the European Food Safety Authority. If those nations adopt standards independent of U.S. input, we risk the possibility of encountering barriers to trade and even being totally shut out of certain markets. Q: One of the issues currently before Codex is a proposed standard for processed cheese. Though the United States opposed the standard, Codex advanced it from Step 3 to Step 5 (in the 8-step ratification process). What is the problem? MM: With processed cheese, it’s a case of “if it ain’t broke, don’t fix it.” There are no significant problems in international processed cheese trade and no gaps in the safety and quality provisions for processed cheese in global markets. In addition, the product description in the current Codex draft standard is so vague that it doesn’t even include a minimum cheese requirement. In the proposal’s current state, the likely outcome would lead to less and less cheese solids being used in processed cheese. The Codex Committee on Milk and Milk Products previously opted to drop efforts to develop a processed cheese standard, and it would be wise to do the same again. Q: What is the next Codex step for the processed cheese standard? MM: Codex will invite comments on the proposed standard and then form a working group before year-end. 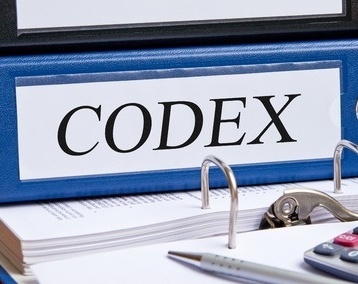 USDEC, National Milk Producers Federation and International Dairy Foods Association sent a joint letter to the U.S. Codex office, which staffs the U.S. delegation to Codex. In it, we outlined the industry’s objections to the processed cheese work and urged the United States to vigorously engage during Step 6 technical work to outline the many problem areas of the proposal and point out why the standard should never even have advanced this far. Q: What other standards with the potential to affect U.S. dairy exports are in the works? MM: There’s been some talk about looking into additives used in grated and shredded mozzarella, as well as developing a new dairy beverage class in Codex in the food additive area. It’s something we’re watching, and we will fight for the use of safe and appropriate additives in order to meet consumer demand. The food additives committee is not like the milk products committee, where you only had dairy professionals in the room. Now you have generalists, who may not understand why you need certain additives in dairy products. Dairy experts need to be involved, otherwise you have nondairy people making dairy decisions. Q: On the plus side, a standard establishing a definition and safety assurances for dairy permeate is at Step 3. MM: A standard for both whey and milk permeate would be helpful in a place like China, which currently disallows permeate for food use. China is cautious with ingredients it doesn’t know well. A Codex permeate standard gives us a tool to say, “The rest of the world believes permeate is safe and is using it for food and beverages.” It should help us bring some clarity to the uncertainty they feel—and hopefully facilitate U.S. permeate trade. Q: What are the prospects for the proposal? MM: The U.S. and European dairy industries have worked closely together and already moved past much of the back-and-forth revisions that can slow the process. So we are optimistic we can turn this over fairly quickly and have a standard by 2016, if everything moves as it’s supposed to.